Pail filling machines are also known throughout the industry as net weight machines. They are designed to fill pails by weight in the most accurate and efficient manner possible. They are generally used in the industries of food, cosmetics, and when chemicals need to be utilized. All of these applications are very important and this is why the pail filling machine is utilized. Net Weight fillers are a type of characteristic on a pail filling machine which uses pre-programmed user data to precisely fill to the level of whatever it is programmed to. They are generally built with a closed top conveyor and rotary tables which are usually optional. They are also usually speed-variable at a fast speed and a slow speed. Roller lid presses are another type of characteristic that pail filling machines possess. It will be built from stainless steel and have heavy-duty chains. The denesters that pail filling machines use also have a special optic eye that acts as a sensor. Due to the fact that they are stainless steel, they are very easy to clean. They only require simple wipedowns or, in the case of dirty gears, a simple hose down from a hose. 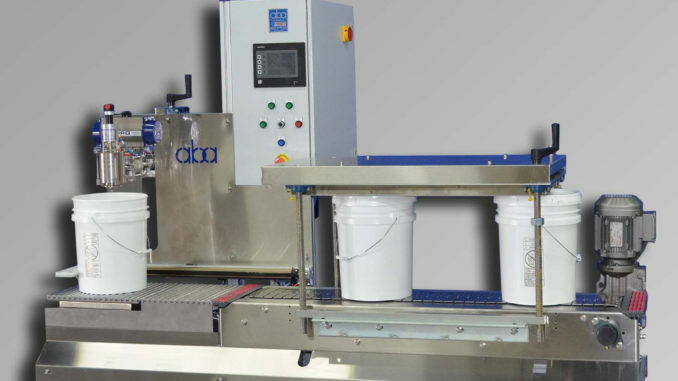 As you can see, an pail filling machine is a very handy piece of equipment to have on your worksite when very precise measurements must be delivered at a rapid pace. By purchasing and using one of these pieces of equipment, you will be able to accomplish much on the job site with very little effort. They are a great way to not only enhance productivity but also a way to maximize profits as well. This is a point that should appeal to every business owner in the country.